Product Information : A columnar form! 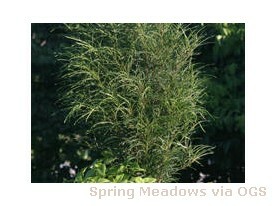 The long, narrow foliage has a crinkled edge and is a dark green changing to a yellow green for fall. A ferny texture plant in the landscape.